Skin care is a subject that is not new, and has been around for centuries now. While in the older times people had to depend on home-remedies and potions for taking care of their skin problems, the advancement in science and medicine has laid down innumerable prospects, for folks in the modern times. However, with the passage of time, the factors affecting skin health have grown in multitude too. Skin problems have become diverse and more complex, which naturally calls for an improved skin care regime. Poor Lifestyle Choices – Bad lifestyle choices such as depriving the body of proper rest and sleep or smoking tends to have a bad impact on your skin. Smoking has been known to reduce the amount of oxygen and nutrients being supplied to the cells, causing wrinkles, sallowness and ashy complexion. Poor Circulation of Blood – Blood circulation is how your body provides for the oxygen and nutrient requirement of the many cells within. Poor circulation of blood in any part of the body would therefore mean little to no oxygen availability to the cells, leading to dull or pallid complexion. Dehydration and Poor Diet – Proper nourishment is important for keeping you healthy and looking your best too. Not drinking enough water, taking too much caffeine or unhealthy, greasy food, will eventually deplete the nutrient level in your body alongside making you sick. Deposition of Dead Skin Cells – Although it is quite natural for the skin to shed cells, not taking good care of the skin can lead to a deposition of dead skin cells. This accumulation of dead skin cells creates a barrier that in turn keeps the moisture and lipids in new cells from adding glow to the skin. Exposure to Pollutants and Toxicants in the Environment – Exposure to dust, dirt and toxic free-radicals in the air alongside the harmful ultra-violet rays of the sun, damages the skin in more ways than one. Skin reactions, premature aging, loss of natural moisture, dryness and roughness, are a few among the problems that you consequently encounter. Cleansing – In order to keep your skin healthy and problem-free, the removal of dirt and excessive oil from the skin is vital. A standard cleansing routine generally involves washing the face with a mild cleanser, followed by a good quality face scrub. These deep cleanse the skin and bring a luminous glow. Toning – This is an additional step included to properly clean away any traces of dirt or oil that may be there. Hydration and Moisturization – The next step in your skincare regime should be to include good hydrating and moisturizing products that keep your skin supple and soft. For brighter skin, you can invest in a skin whitening serum and cream. Some of the best creams for skin whitening are known to prevent blemishes and dark spots to help the user achieve a fairer tone. The use of sheet masks, a more common custom in South-east Asian countries like Korea, is also gaining popularity due to its rich benefits. Certain cells in the skin secrete a pigment known as melanin which is responsible for giving your skin its natural tone. When these cells become unhealthy or damaged, it affects the production of melanin in the body, thereby causing skin pigmentation disorders. An increase in the production of melanin causes your skin tone to go darker and vice versa. Hypopigmentation, hyperpigmentation, albinism and vitiligo are some of the common types of skin pigmentation disorders. Certain issues that one might face as a result of some skin pigmentation disorders are loss of radiance, dark patches on the skin, dullness, aged looking skin etc. In fact, sunburn, dark spots, melisma, acne pigmentation, all fall under the category of skin pigmentation disorders. What can you do for Better Care and Protection of your Skin? The type of skin that people have differs from individual to individual. However, skin care is something that all need to undertake regardless of their skin type or tone. 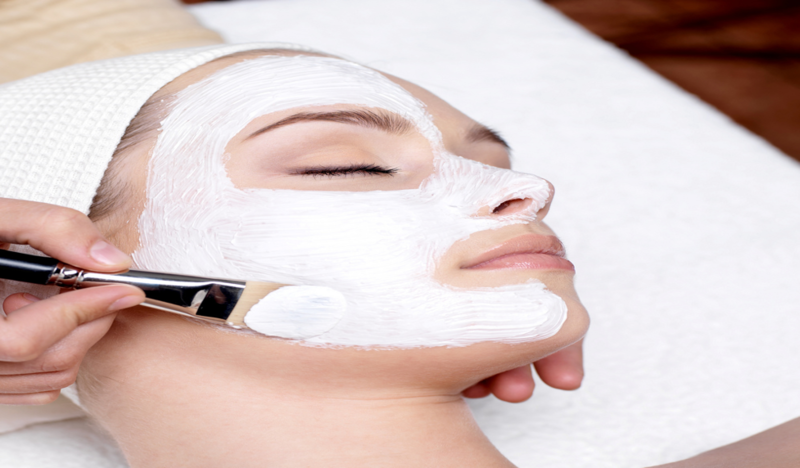 Having a proper and effective skin care regimen is therefore fundamental to skin care. While some people follow home-grown solutions for skincare such as natural bleaching, there are others who take to aggressive methods for the same. When preparing your skincare regimen, you have to ensure that it is not only effective but also safe for the skin. As we age, our skin tends to lose its form, texture and glow, and depending on harsh products or chemicals will only make things worse. One thing you must ensure when investing in any skin care product is attention to its quality. Go through the list of ingredients and the purpose served by a particular product before you make any decision. Nutrient-rich food and adequate sleep are also vital for a healthy and glowing skin.